What is an IBM i Full Stack Developer? You are here: Home / Newsletter / What is an IBM i Full Stack Developer? There are a handful of definitions out there, but in general they are similar. An engineer who can handle all the work of databases, servers, systems engineering, and clients. Depending on the project, what customers need may be a mobile stack, a Web stack, or a native application stack. So, what is a “full stack” vs a “stack”? “full stack” refers to the collection of a series of technologies needed to complete a project. “Stack” refers to a collection of sub-modules. These software sub-modules or components combined together to achieve the established function while without the need for other modules. We have had “full stack” IBM i developers for a long time, we just haven’t called them that. They might be doing development work with different flavors of RPG, in addition to SQL, DB2 as well and IBM i System Administration. With modernization projects in full swing there is a need for developers to be able familiar with a number of languages and frameworks. In my opinion, the “web stack” is and will continue to be one of the most important set of skills to have. While modern RPG will remain very important in the future, gone are the days where just knowing it will be enough. Need and IBM i Full Stack Web Developer? We have a number of incredible IBM i Consultants who can help extend your RPG applications to the web. Call us to learn more. News: Cloud data migration service for IBM i customers. Career: Robots, jobs and how leaders can remain hands on. Development: Modern Architecture and Low-Code vs. No-Code. Jobs: Full Stack IBM i Developer opening in Wisconsin. Leadership: The Machine is taking over, what will it mean for leaders? Modernization: Continuous Modernization and how to manage technical debt. Trends: Do you know what Bimodal IT is? McKinsey Global Institute estimates this will take place in the next 13 years. The fact is, that even though workers will be displaced they will be needed in new and developing work categories. The lesson is similar to what we keep preaching for the IBM i market let alone any technical niche, that “we’re all going to have to change and learn how to do new things over time.” If you have a growth orientated mindset, you have nothing to worry about. How can Managers stay hands-on while still growing as leaders? It’s hard. I can’t tell you how many individuals that I speak with struggle with this. The love to code but they are really good at managing and leading people. They like to do both. This article offers some tips on how to balance the two. It will be interesting to see what the future has in store when it comes to low-code or even no-code development. “The no-code and low-code markets continue to mature, as no-code vendors provide more complete, easy-to-use application construction tools for non-technical, ‘citizen’ developers”. Should developers fear no-code? Or is it meant to help IT and prevent technical debt? As we talked about in last week’s issue Lansa and Domino offer low-code solutions for IBM i customers. With low-code and no-code platforms starting to take off it will be very interesting to see what kind of growth these two vendors will realize in the coming years. Traditionally we don’t post positions we work on. Going forward you will start to see more of our job postings here. 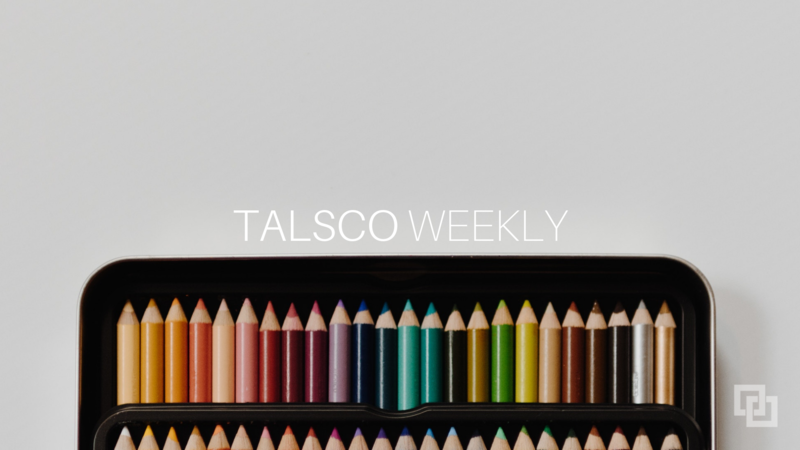 In the spirit of this issue of Talsco Weekly we have a what I would call a traditional IBM i Full Stack Developer opening in Wisconsin that we are currently working on. The Day of the Machine is Here: Will we take advantage of it? It does not matter where you are at in the organizational structure. You will have to show leadership. “The change that’s coming will be more diffuse, more comprehensive, and at once harder to see coming in specifics yet impossible to miss in general.” As you read this article, think about how important it is for the IBM i market to make sense of the change while at the same time push modernization projects forward. The new capabilities leaders need to build 21st-century organizations. “To build and lead an agile organization, it’s crucial that senior leaders develop new mind-sets and capabilities to transform themselves, their teams, and the organization.” If we don’t do this, we will simply fall behind. Use Continuous Modernization to Build Digital Platforms from Legacy Applications. “This Gartner report explains why rip-and-replace strategies are not only risky, they are often unnecessary in order to get “there” faster. Learn how to extend and increase the value you get from your legacy applications, which truly are the center of gravity for your business”. As I do my weekly research for the newsletter I ended up stumbling on the concept of Bimodal IT. As Gartner points out, it’s getting some traction as it relates to digital transformation especially when you look at experimenting with new technology and business processes.